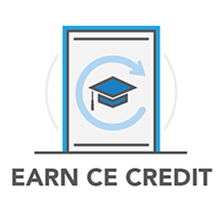 IDFA has partnered with continuing education providers to offer pre-approved CE courses that adhere to our curriculum standards. For more information, use our CE Directory or contact our CE Sponsors below. Formalizing strategic alliances with interdisciplinary professional organizations to recognize and promote our divorce financial planning community and unique expertise. Offering quality self-study continuing education courses for financial planning, accounting and tax professionals since 1995. Reverse Mortgage STRATEGIES for your Grey divorce clients. How divorce housing and financial cash flow can be improved by one or more of the Reverse Mortgage options. Options include reverse purchases, unlocking home equity through a stand by line of credit, lump sum payment or monthly cash payments, or any combination. Reverse Purchases allow one or both spouses to purchase their own separate home with approximately 60% down and no monthly principle and interest mortgage payment required. Let the professionals at the Divorce Financial Planner Training Center help you become the best divorce financial planner you can be. The need for divorce financial planners has never been more urgent. Our courses will ensure that you handle your cases with expertise and confidence. From on-demand training to a full-year intensive, we provide the training you need, when you need it, on your terms. “The VELOCITY program has helped me ramp up my business faster than I ever could have done alone! I strongly recommend VELOCITY to any other CDFA® professional looking to grow their business. There is just too much to learn by yourself. With VELOCITY you benefit from Nancy’s hard won experience and share in the knowledge and experience of other VELOCITY participants. Your time is NOW! You’ve already invested in a credential—don’t let it get dusty on the shelf. Call me today to discuss your thoughts and see if you’re a good fit for my programs. What are you waiting for? Family Law Software is software for analyzing and reporting the financial aspects of divorce. It is a detailed and comprehensive financial planning tool, handling automatic tax calculations, growth of investments, liquidations (including tax and penalties on liquidations), required minimum distributions of IRAs and 401(k)’s, the impact of timing on Social Security payments, defined benefit pension valuations, spousal support present value calculations, what if scenarios, the tax impact of spousal support, and much more. The Heckerling Institute on Estate Planning is the leading educational conference for all members of the estate planning team, including attorneys, trust officers, accountants, charitable giving professionals, insurance advisors, elder law specialists, wealth management professionals, educators, divorce financial analyst professionals, and nonprofit advisors. In addition to providing the highest quality educational programming, the Institute offers unparalleled networking and professional development opportunities and the nation’s largest exhibit hall dedicated to the estate planning industry. The 53rd Heckerling Institute which will take place January 14-18, 2019, will offer practical guidance on today’s most important tax and non-tax planning issues, including the planning challenges and opportunities presented by the 2017 Tax Act. It will also offer valuable insights and innovative ideas for planning effectively in what remains an uncertain and unpredictable political and economic environment. Attendees can benefit from programs covering a wide range of advanced level planning topics. Please visit our website for a complete program brochure. For more information, please visit www.law.miami.edu/Heckerling or email Heckerling@law.miami.edu. We have been serving legal professionals for almost 40 years providing continuing legal education that is second to none. We provide accredited CLE in all 50 states and Puerto Rico. We are nationally accredited and provide learning formats that fit every need. This includes live, in-person seminars, and the largest, most diverse catalog of legal courses taught by expert practitioners. With over 18,000 resources—including 2,000 live seminars and 5,000 on-demand courses—we’re providing the most diverse catalog in the industry. We work with more than 500 credit-granting organizations so our customers can be confident that they get the appropriate credit. Second Saturday is the critically acclaimed divorce workshop founded in 1989 by nationally renowned advocates/wealth managers Candace Bahr and Ginita Wall. Second Saturday offers non-biased financial, emotional and legal advice from qualified local professionals, providing people with the knowledge, support, resources and trust that they need to survive the divorce process and move forward with confidence toward a new life. SG and Associates offers coaching to service-based entrepreneurs and professionals who want to build a more profitable business by using the principles of authentic selling to create a consistent flow of new business and clients.